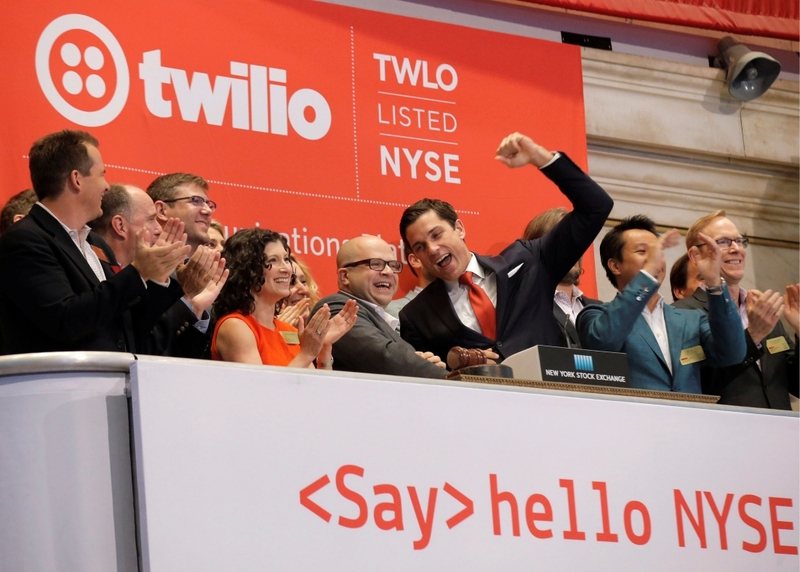 San Francisco-based technology “unicorn” Twilio went public Thursday morning on the New York Stock Exchange. The company priced its IPO at $15 a share which received a very warm welcome from investors. A unicorn is described as a startup that has a valuation of at least $1 billion. Twilio’s share value flirted with the $30 mark minutes before the market closed, ultimately finishing the day at $28.79 – a 92 percent increase over its $15 price point. This was the biggest first-day pop of any US-listed IPO this year and the first in 2016 to price above expectations according to Dealogic. At its $28.79 closing, Twilio has a market value of $2.4 billion. In previous financial rounds, The Wall Street Journal notes, it was only valued at around $1 billion, or $11.31 per share. Twilio’s success, the publication said, serves as an optimistic sign for other tech startups considering going public in a market that’s been sluggish as of late. Twilio provides software that helps companies communicate with their customers. Uber, OpenTable and WhatsApp are just a few of its many high-profile clients. Despite nearly doubling its revenue to $166.9 million in 2015, the company has yet to turn a profit, posting a net loss of $35.5 million last year. Twilio CEO Jeff Lawson was no doubt happy about his company’s performance but told CNBC that this is just the beginning of a very long time as a company that’s publicly traded. He added that they’re not worried too much about the opening price but rather, the long term.